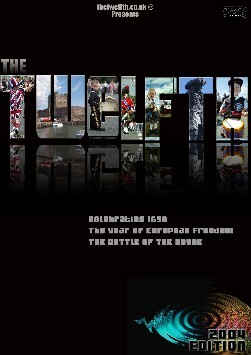 Celebrating 1690 - the Year of European Freedom. WERE YOU in Belfast on the Twelfth that year? Did you parade? Did you just spectate? Whatever your answer a souvenir of the occasion always brings back the memories. And if you want to relive all the memories, the bonfires, the lambegs, the bands, the lodges and most of all the atmosphere, this DVD is most certainly for you. It is an excellent DVD, which is very well chaptered so that you can easily find the bit with yourself on show. If you are like me this is a most important consideration. If you were not there you will not be disappointed and will have a lasting memory of a day not to be forgotten. You can order this DVD through PayPal. Please click on the appropriate button below. Please note that this is not in NTSC format and may not play properly on North American DVD players. The image may appear in Black and White only. We cannot refund anyone in North America who gets this problem. If an NTSC version becomes available we post details on this site.